I signed up for the Thameside 20 mile race at the last minute after my friend Majell made me aware of it. The event is put on by Clapham Chasers running club, so you can count on good organisation. Its distance and placing in the calendar makes it ideal preparation for a spring marathon such as London and it certainly fitted well into my schedule. 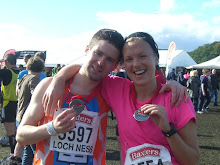 In the days building up to the race I thought a lot about how best to approach the event. In the end I decided to use it as a training run, completing the first 10 miles at an easy pace (around 6:30/mile at fastest) and the last 10 miles at goal marathon pace (around 6 minute miles). I also hoped to finish strongly and do the last couple of miles at 10K pace and progressively faster. The last aim was to prove a little too ambitious! It was a real mission to get to the race start in Bishops Park next to Putney Bridge. With the race started at 8am on a Sunday morning, the tubes weren't running early enough. In the end I had to get 3 buses - in fact 2 of them were night buses! This meant getting up before 5am which is never pleasant. The event helpfully provided “pacer” runners so that you could choose a pace to run the race in and use your pacer as a guide. Darren Tanner, Majell and I ran in the sub 7 min mile pace group led by James, another Clapham Chaser. We set off at a decent pace and started averaging about 6:30 minute miles. A few guys went off at a faster pace and disappeared into the horizon. It was a lovely route to be going along at a fairly relaxed pace. We started at Putney Bridge and went along the Thames all the way to Richmond and towards Twickenham - think the Oxford Cambridge Boat race. The course was 10 miles out and back. I managed to do the first 10 miles fairly comfortably with Darren, Maj and the boys and then at the turnaround I hit the gas as planned to achieve my aim of completing the 2nd half of the race at 6 minute miling pace. I certainly managed to change the gears quickly didn’t keep it steady enough and during some of the early miles I was doing much faster laps! This resulted in a real struggle when it came to the later miles. After picking up the pace in the second half I eventually took over another couple of runners taking me into 2nd place. 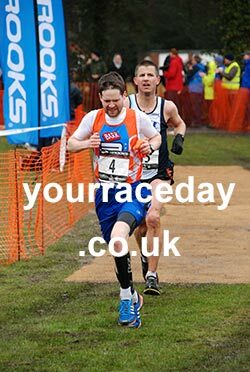 I must admit although I had not been treating the race as a race as such, I thought I had 2nd place sown up and was quite happy with this! And then with a couple of miles to go out of nowhere I heard the Australian accent of Maj who came absolutely steaming past me. I just didn't have the legs to keep up with him watched him go on ahead into the horizon. Maj ran a great race and the way he progressed throughout the race and finished so strongly will put him in great shape for London. 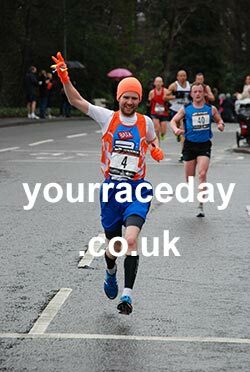 Darren also ran a solid race considering he is coming back from a calf injury that has plagued him during 2013. 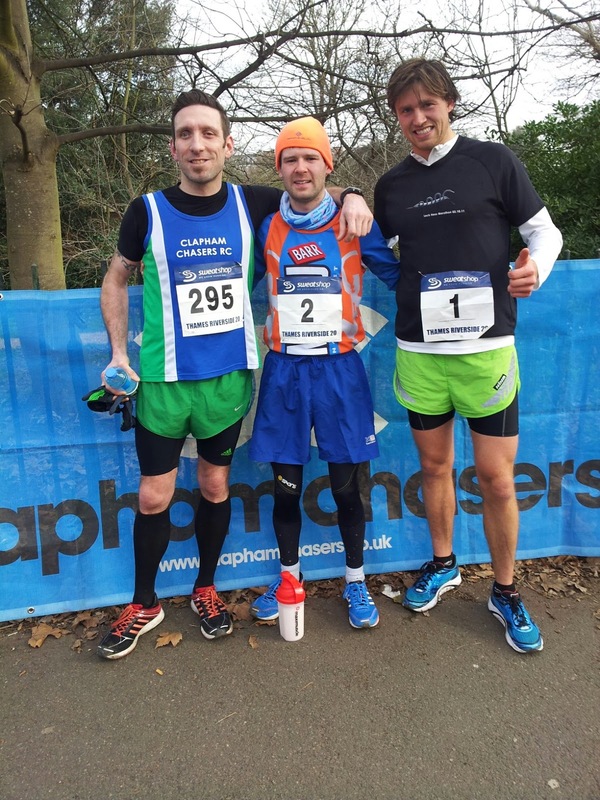 It was great to be able to run together again and I am being persuaded to join the Clapham Chasers! I was disappointed that I hadn't been able to stick to my pacing as strictly as I’d intended and therefore wasn't able to finish very strongly but it was still a run that would have done me a great deal of good training wise. It was a really nice event and I am definitely going to the use the route again for a long run.